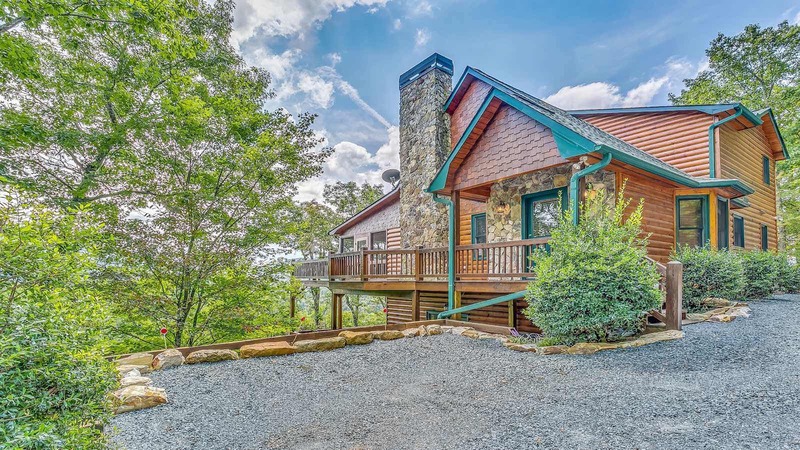 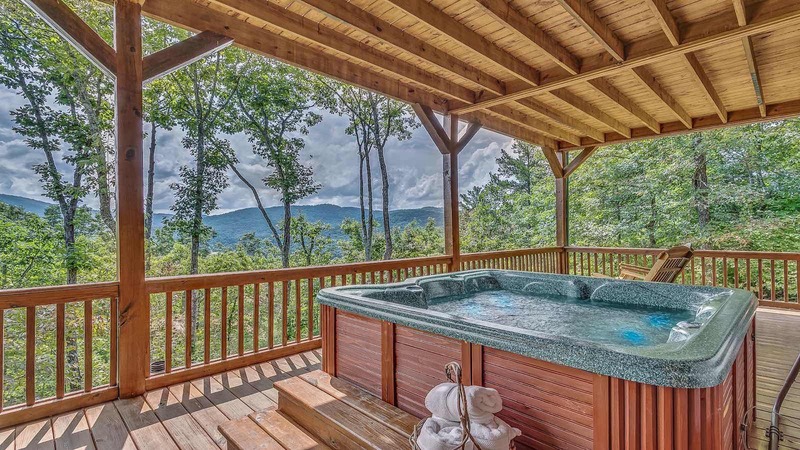 Retreat to the perfect mountain getaway at Bear Retreat! 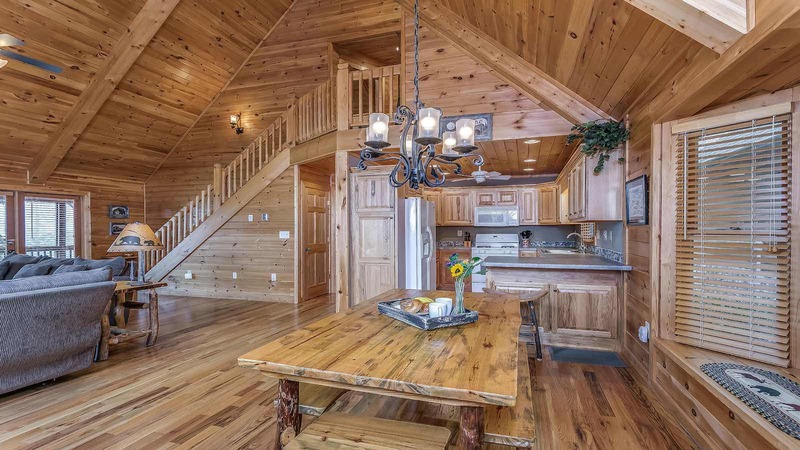 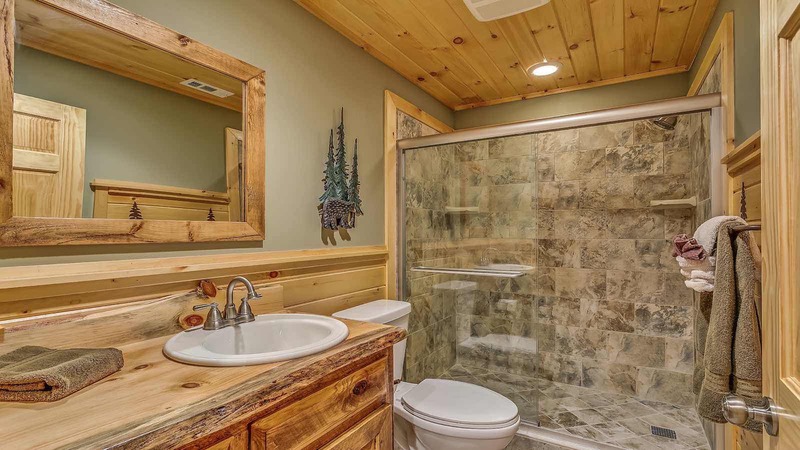 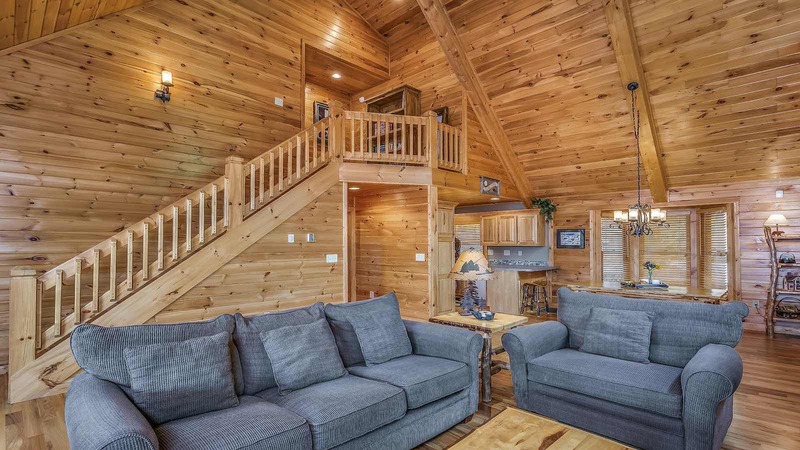 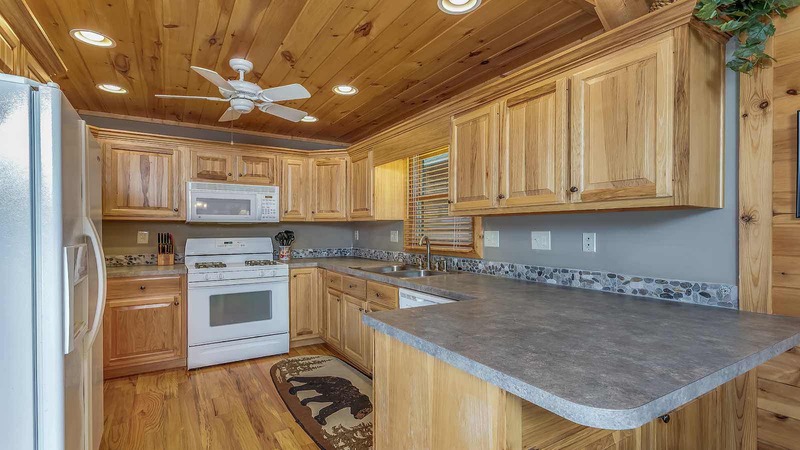 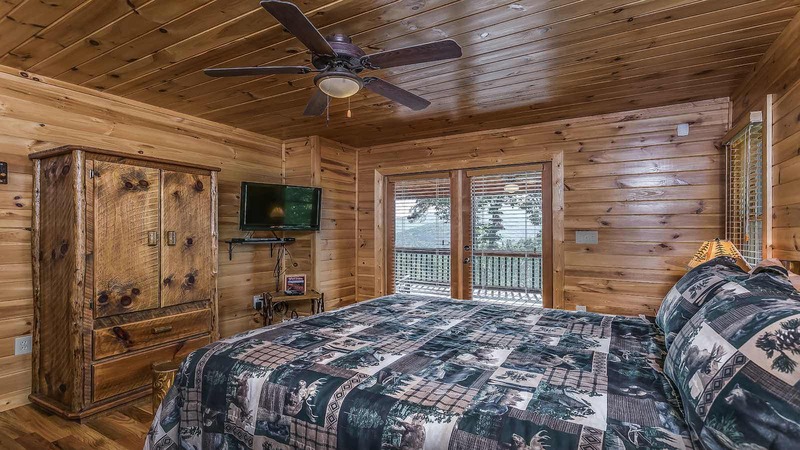 With amazing in-your-face mountain views, its no wonder this cabin has a large returning guest base on its own! 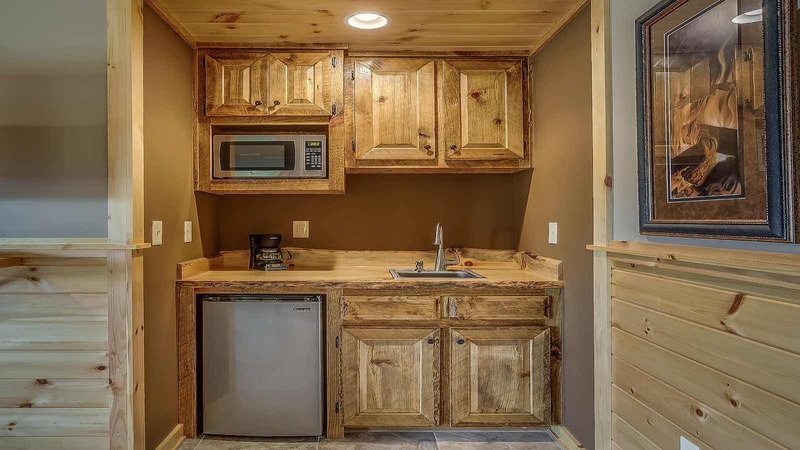 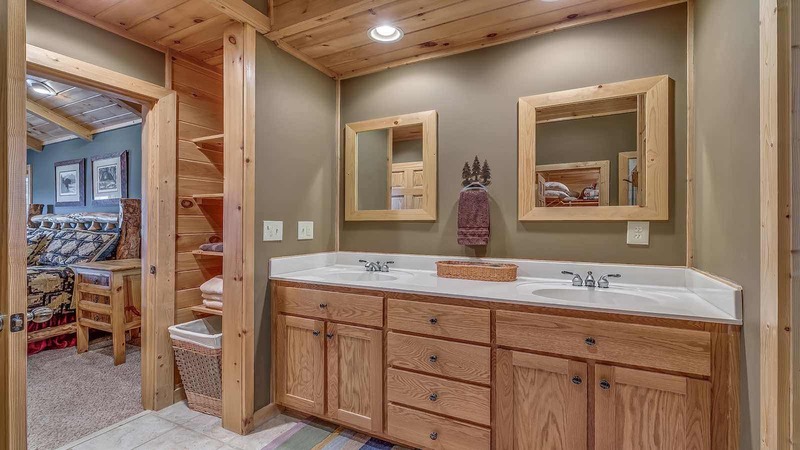 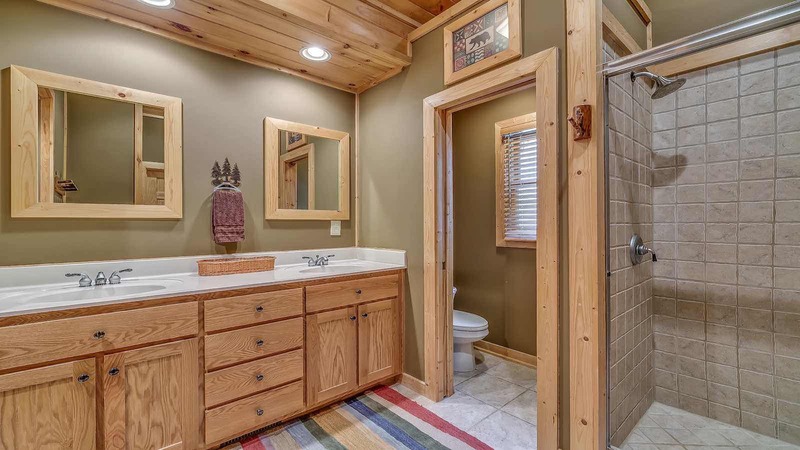 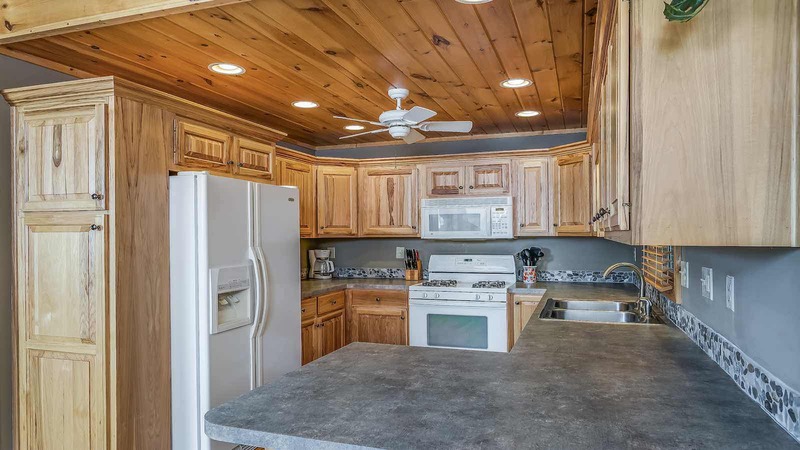 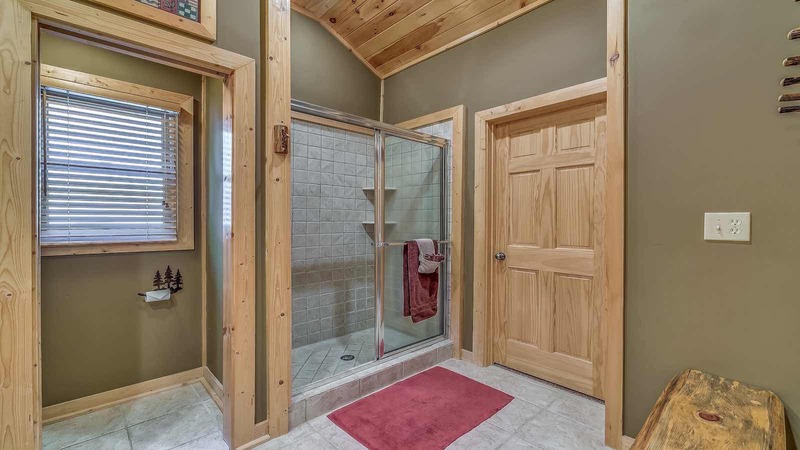 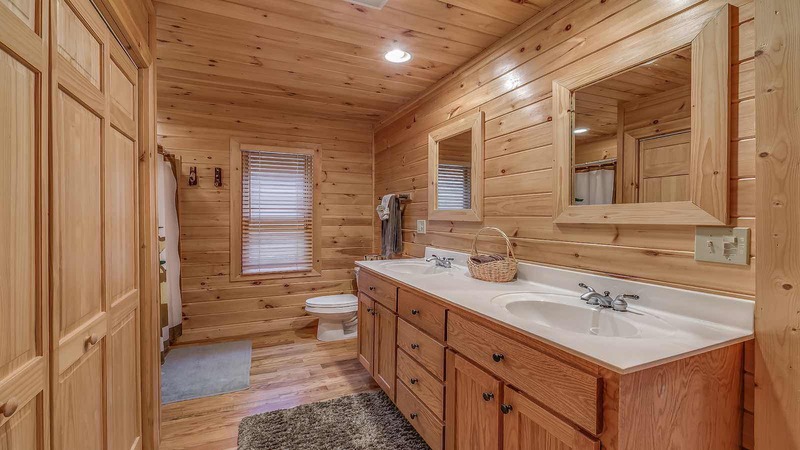 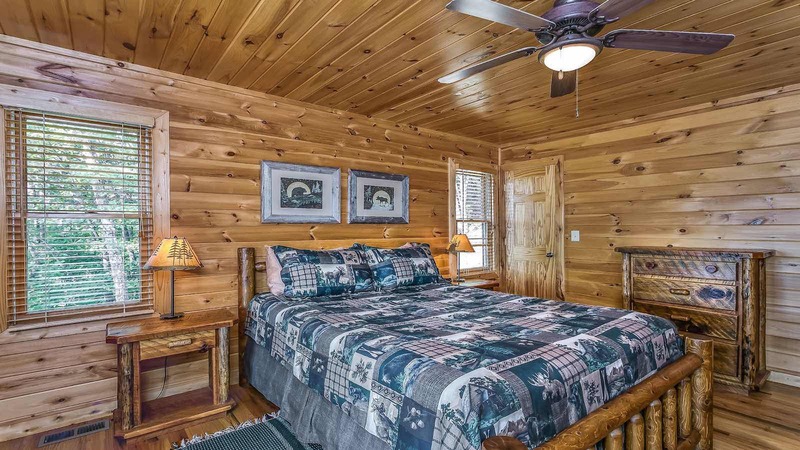 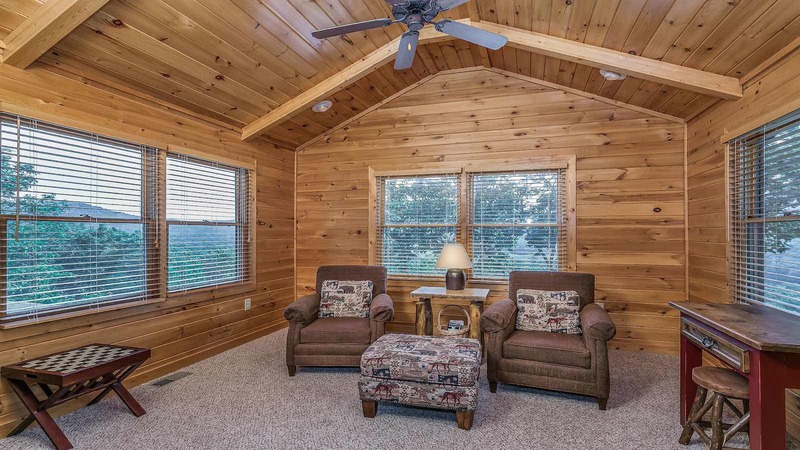 The main level of this cozy cabin has one bedroom with a queen bed and Hi-Def television with BluRay, one full bathroom and a fully equipped kitchen with dining for up to six. 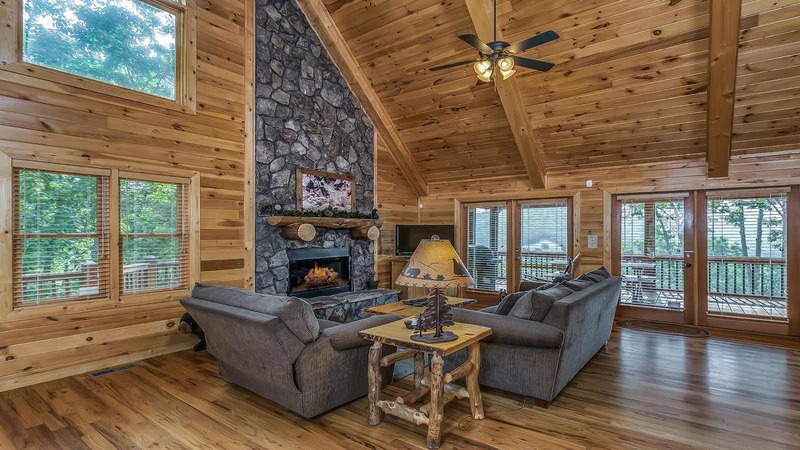 The main level living area has a Hi-Def television with BluRay, a queen sleeper sofa and a beautiful rock gas log fireplace that would be perfect during those cold winter evenings! 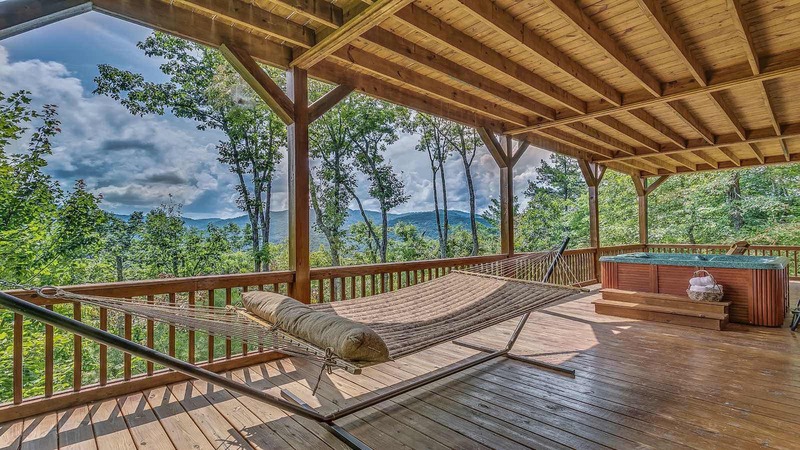 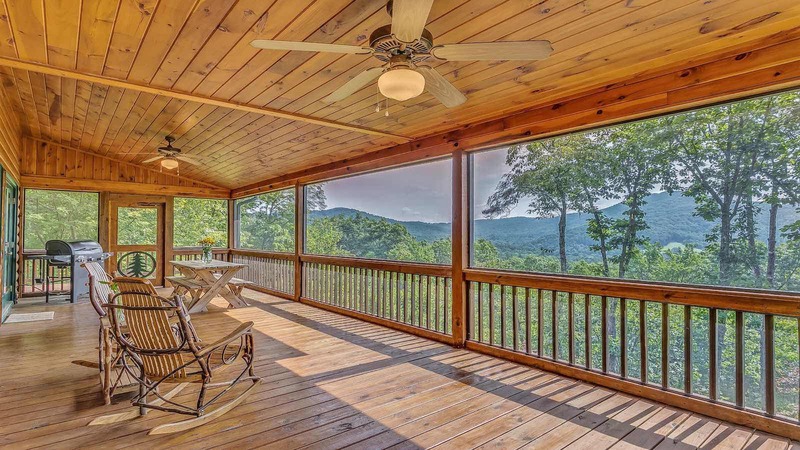 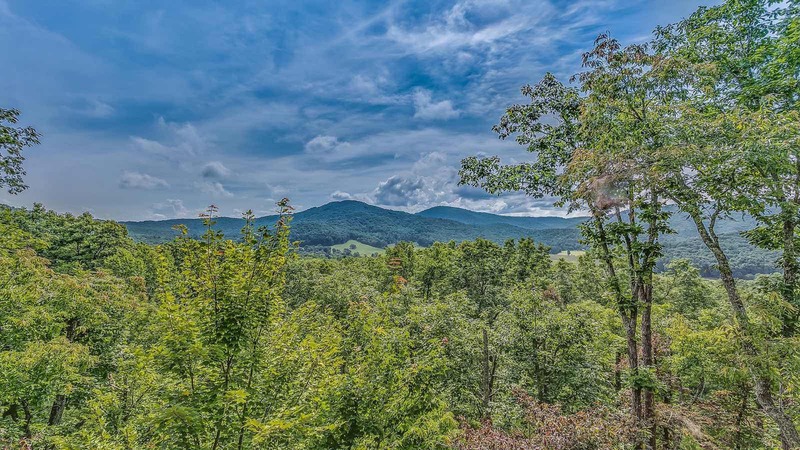 There are French doors leading from the main level onto the screened porch, overlooking the gorgeous Blue Ridge Mountains, which would make a great place for a cook out with the large gas grill, picnic table and rocking chairs. 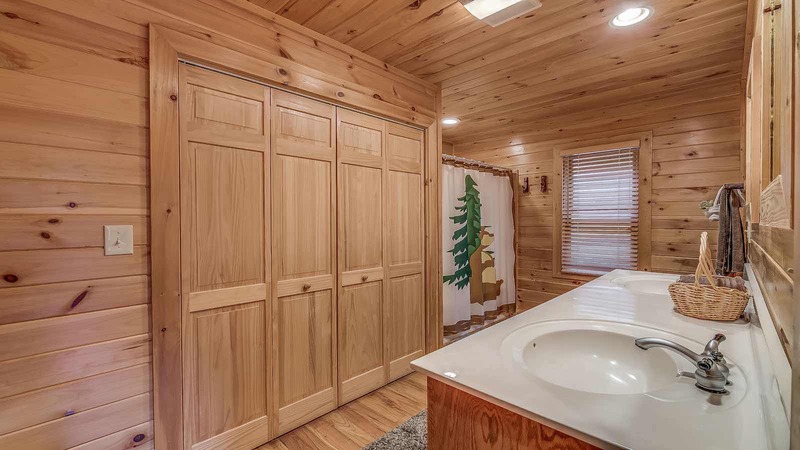 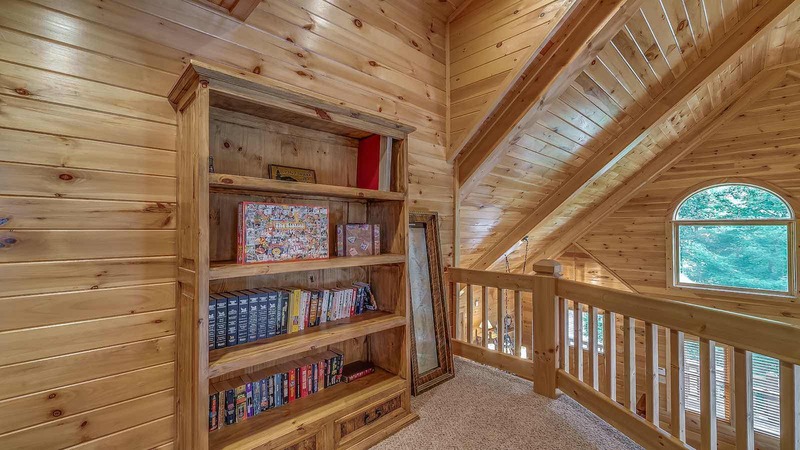 The upper level features one bedroom with a king bed and Hi-Def television with BluRay, one luxurious bathroom and a separate seating area where you can relax and possibly read one of the many books laying about the cabin. 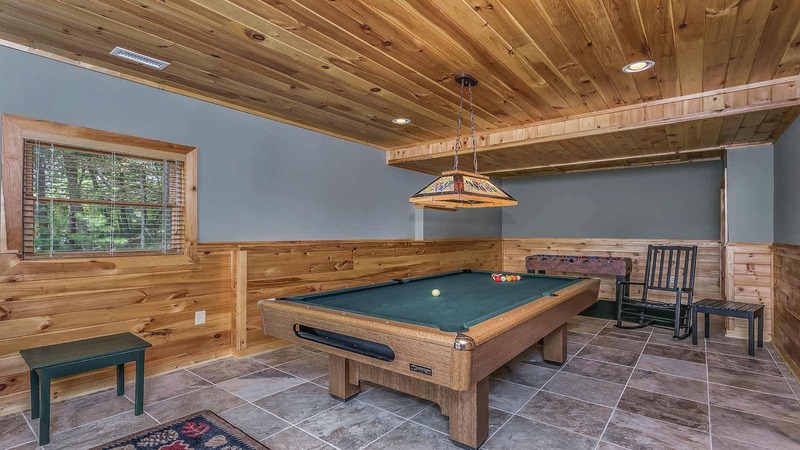 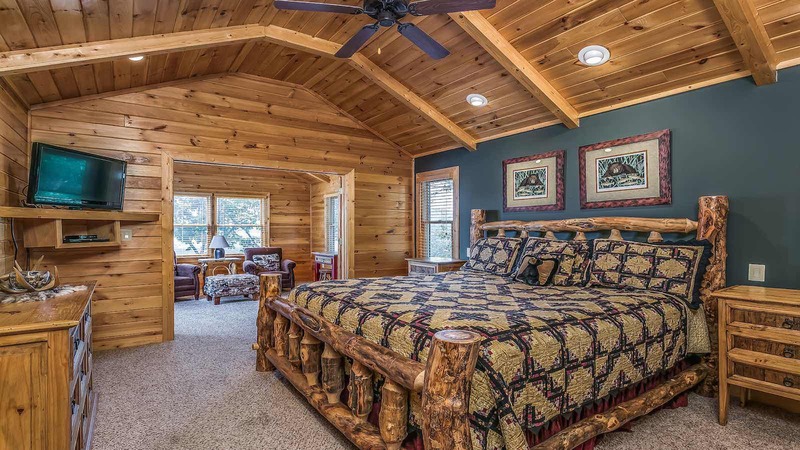 The lower level of Bear Retreat has a great game room complete with a 2nd masterbedroom and tile shower, pool table and a foosball table! 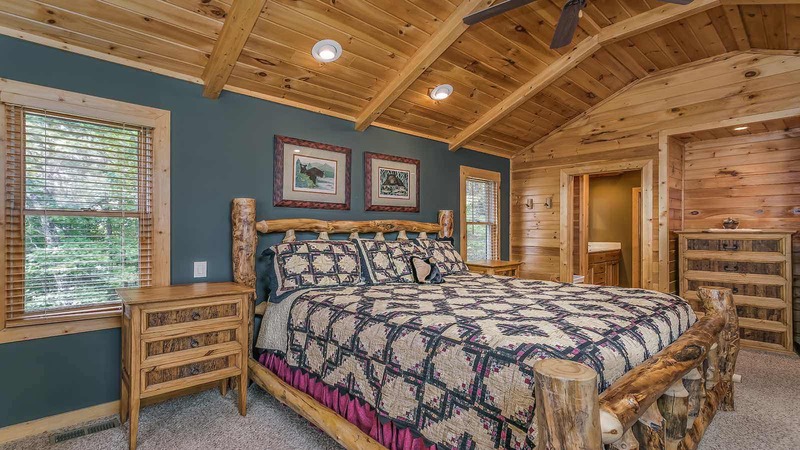 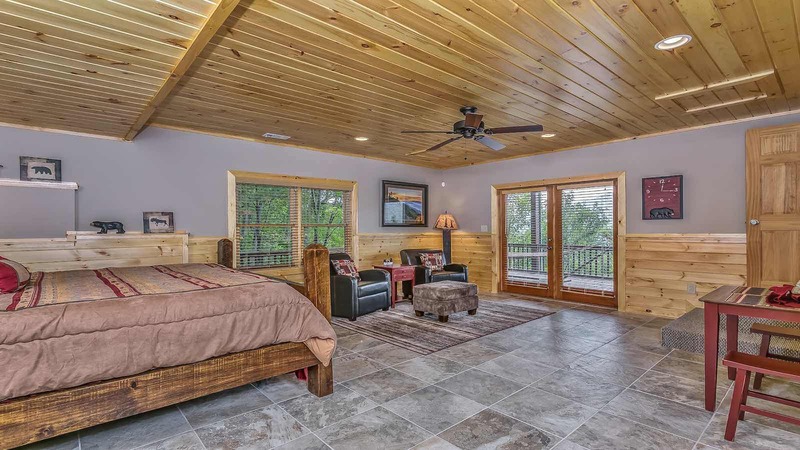 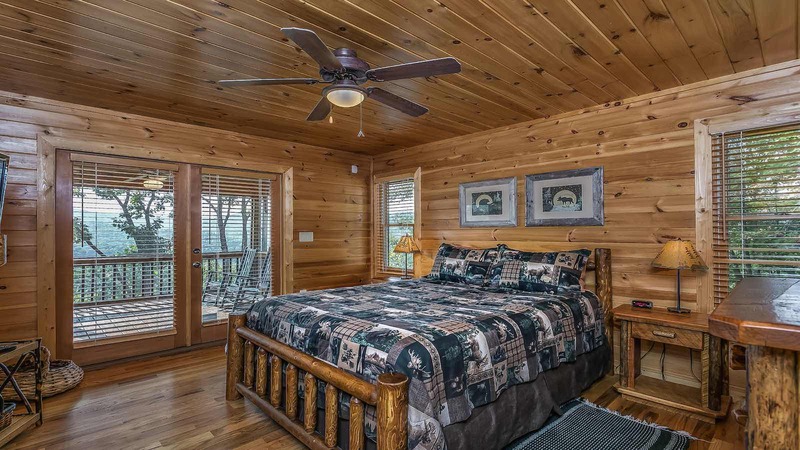 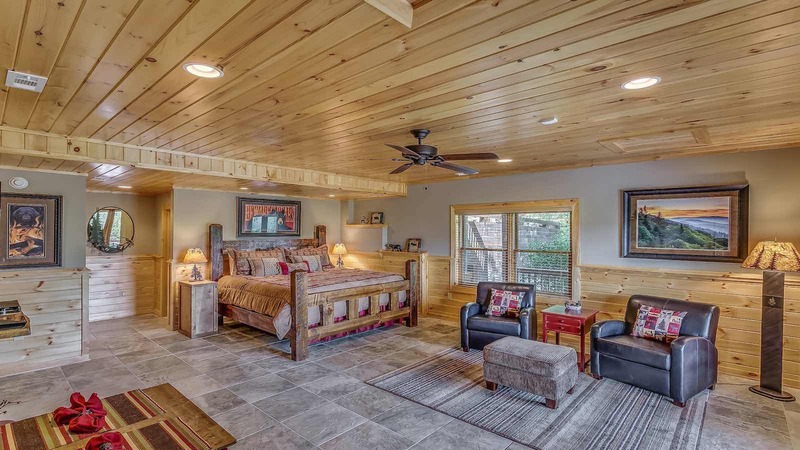 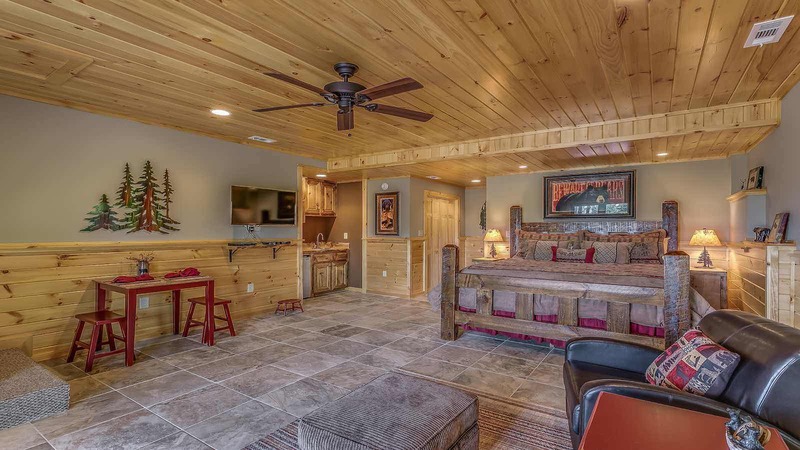 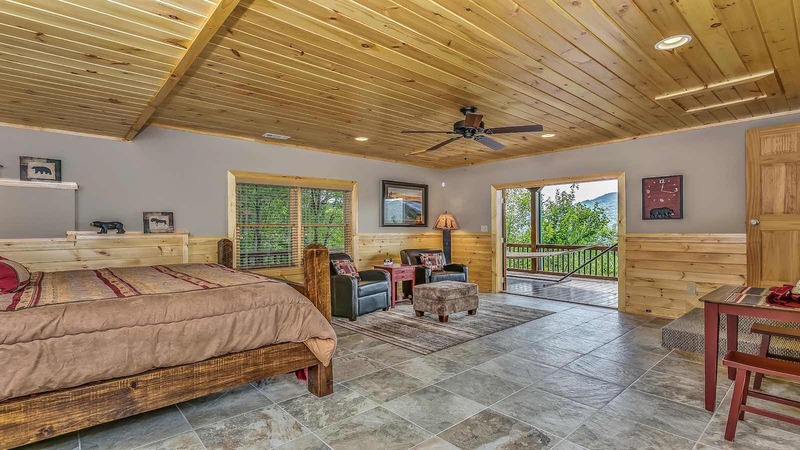 The bedroom on this level has its own private kitchenette/wet bar, table for two, sitting area for two, rustic barnwood-style king sized bed and a flat screen TV. 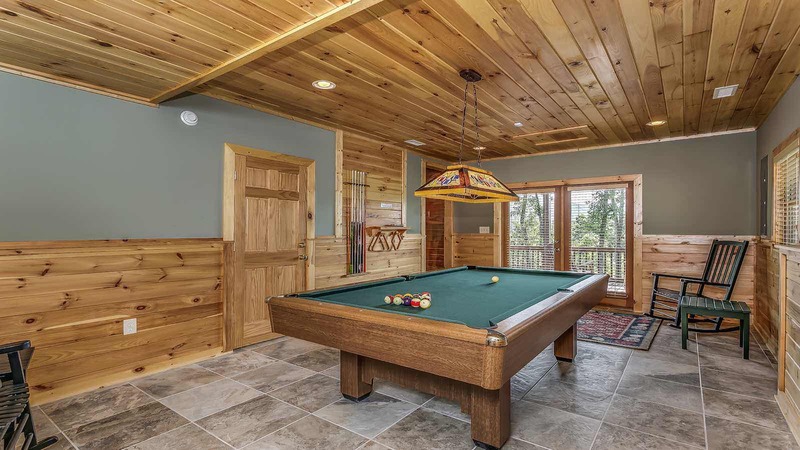 Just outside the game room, on the lower level deck you can pass the time by kicking back in the hot tub. 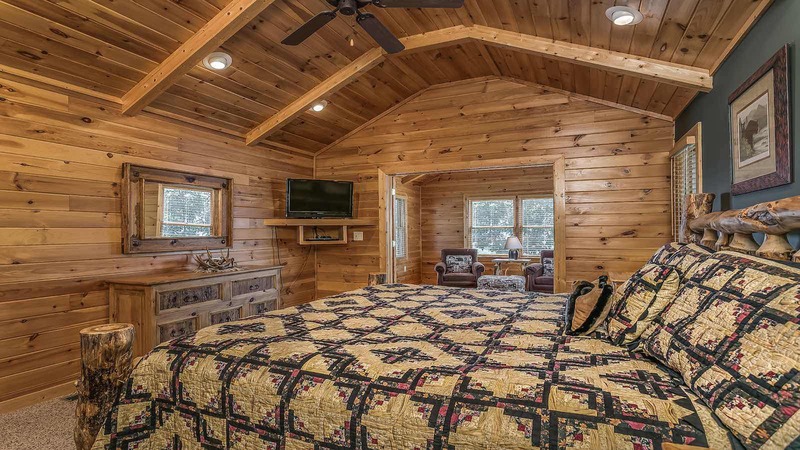 This cabin also faces East, which means spectacular sunrise views...Retreat and reconnect at beautiful Bear Retreat!